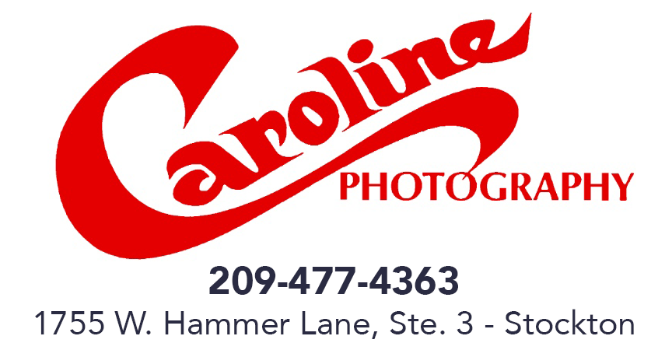 The story of Caroline Photography began in 1980, when Caroline relocated her Bakersfield studio to Stockton. After opening her new studio in the Venetian Bridges area, Caroline began searching for a location where she could offer clients more variety. In 1985, she found a beautiful cottage on Porter Avenue and converted it into a studio that offered not only a large indoor photography area but an on site outdoor portrait area as well. The studio’s reputation for quality and creativity continued to grow and in 1986 Kevin Richtik, a nineteen year old Delta College student, joined the staff as Caroline’s photography assistant. Caroline encouraged him to attended the world renowned Brooks Institute of Photography in Santa Barbara and after graduating with honors he worked for a well known Southern California studio before returning to Caroline’s in 1997. In 2010, after 60 years in photography, Caroline decided it was time to retire and passed the reins on to Kevin. Utilizing the knowledge he had gained working many years with Caroline, his formal training and artistic skill, Kevin continued the studio’s tradition of offering creative high quality photography. Over the next five years, the studio won numerous “Best of San Joaquin” awards and was called upon to photograph for hundreds of local families as well as an ever increasing number of business and corporate clients. Caroline’s passing in 2015 made the move to a new location necessary and a perfect spot on W. Hammer Lane was found. The new studio location offers more visiblity, easier access for clients and has allowed Kevin to focus more on his signature photographic style that blends a contemporary look and feel with a tradition of photographic technique and creativity.